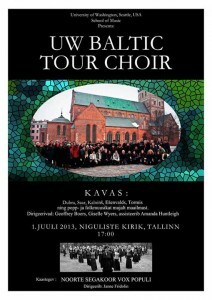 Tired but joyful, the UW Tour Choir and professors Boers and Wyers returned from their Baltic tour last week. 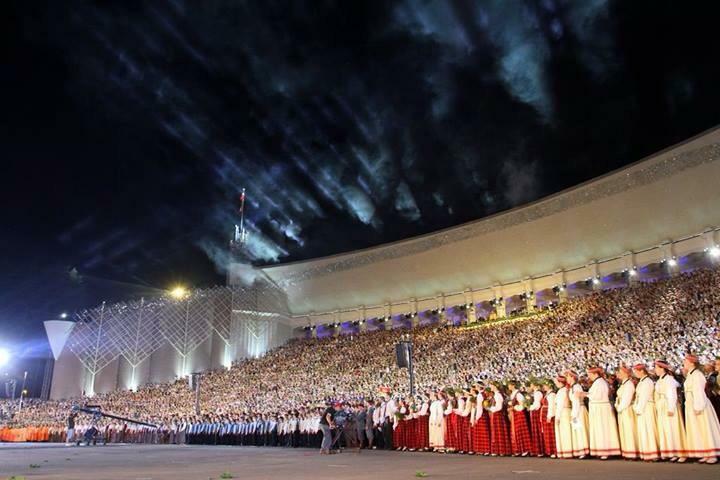 The experience of singing as part of a mass chorus of 16,000 Latvians was truly epic, unforgettable and indescribable. 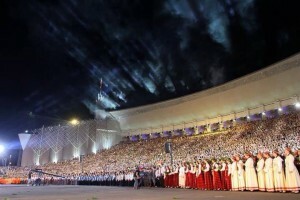 The chorus was also invited to participate in a live televised parade through the capital city of Riga. The tour choir also enjoyed three solo concerts, including an exchange with the Vox Populi Chamber Choir of Estonia at the Niguliste Church in Tallinn. This entry was posted in Tour Choir, Travel on July 16, 2013 by wyersg. UW Tour Choir has first performance tonight! 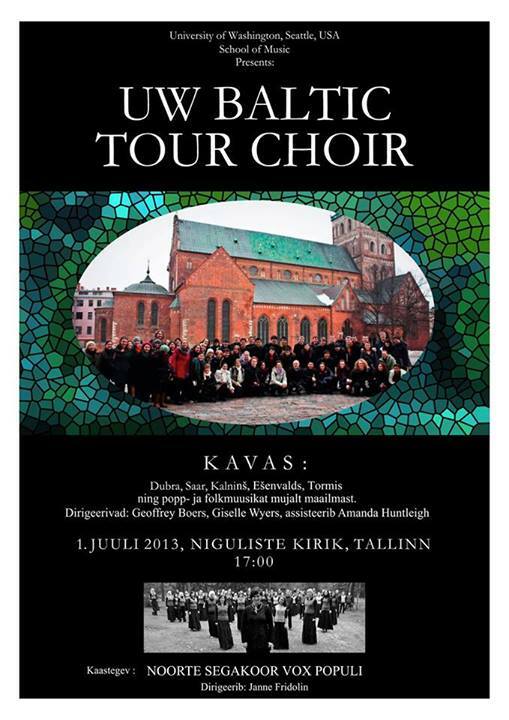 The UW Tour Choir is excited to appear at the American Latvian Association National Conference banquet this evening, as part of a kick-off and fundraiser for their June tour! Wish us luck as we serenade the audience with Latvian folksongs and anthems! Thank you for Dr. Guntis Smidchens, Head of Baltic Studies and Professor of Latvian languages at University of Washington for the invitation, and for joining to sing in the choir! This entry was posted in Tour Choir, Travel on May 3, 2013 by wyersg.